In the pre-Inca culture of the Paracas, some of the spiritual masters with their realms moved further and further into the Andes regions over the years. These included the Wari, who migrated from the area around Lima from the valleys to the Andes region of today’s Ayacucho. 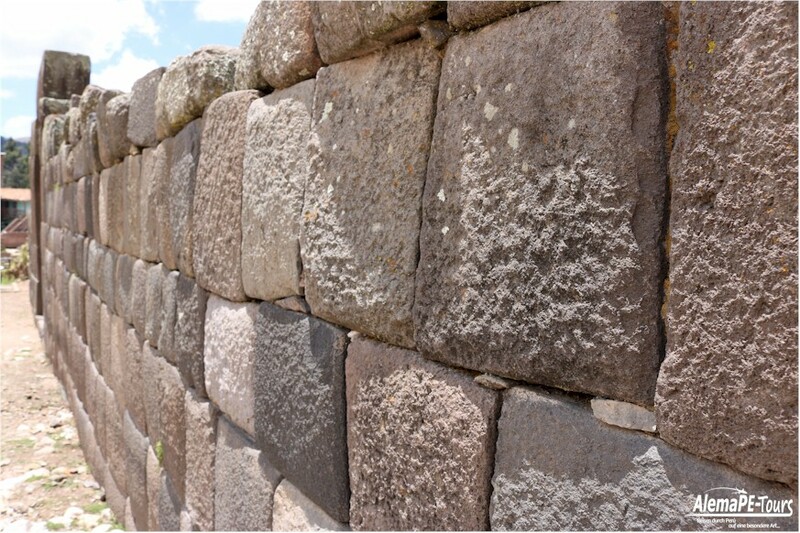 For this reason the administrative influence of the &quot;Huacas”; (temples and centres of the higher powers) grew in the time between 200 and 600 AD. 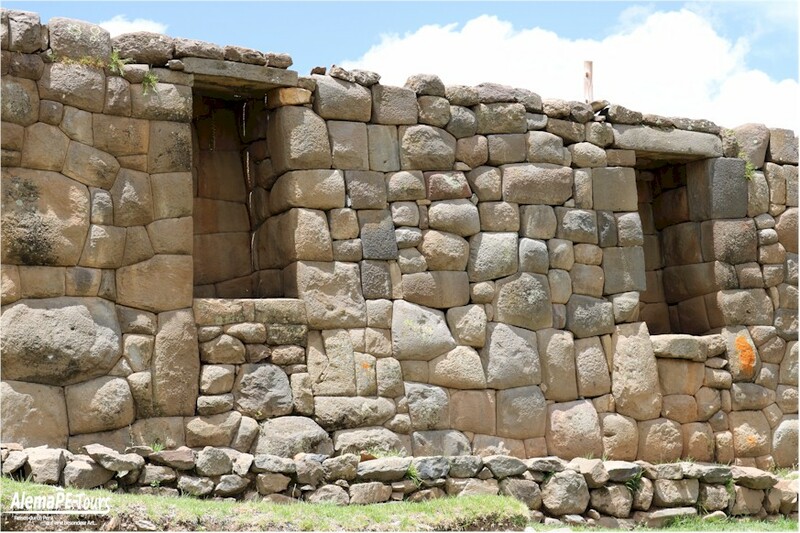 Thus Vilcashuamán was an Inca center, which was created after the conquest of the Chancas and Pocras by the Incas. 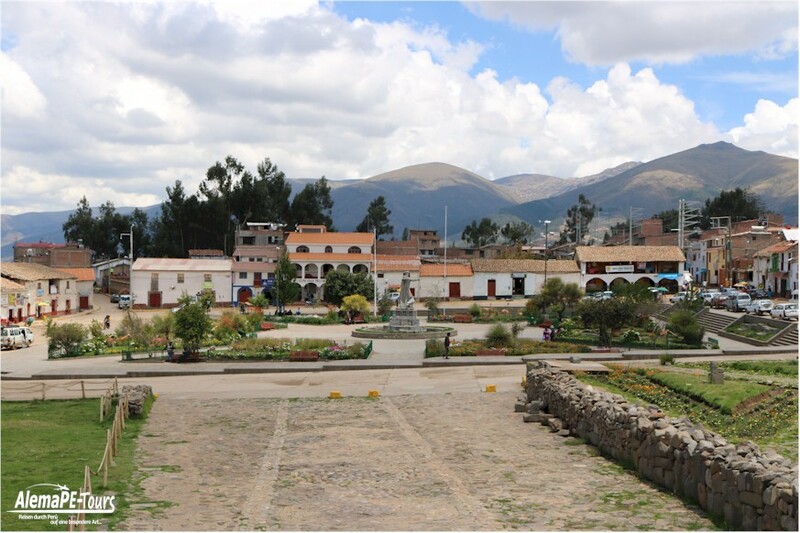 According to history, Vilcashuamán was home to about 40,000 people at its weddings. 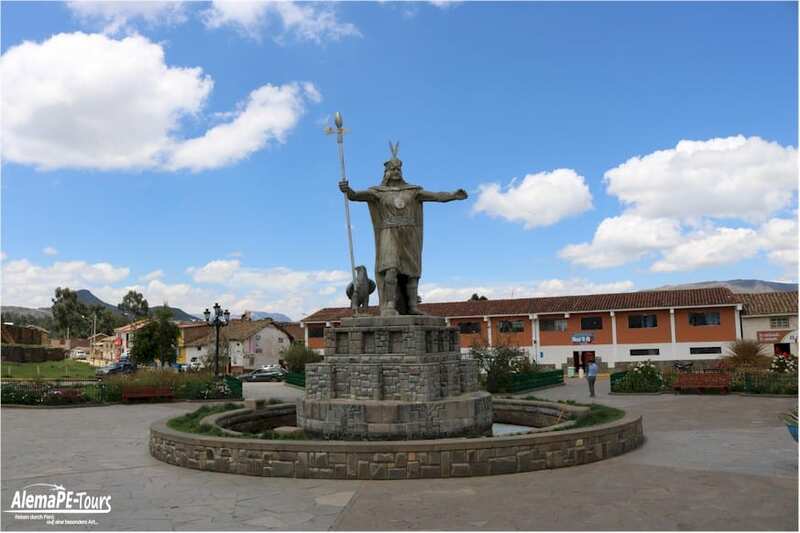 The city, like so many cities in South America, lay around a large square where the great ceremonies of offerings took place, mostly lamas or drink offerings of corn wine. 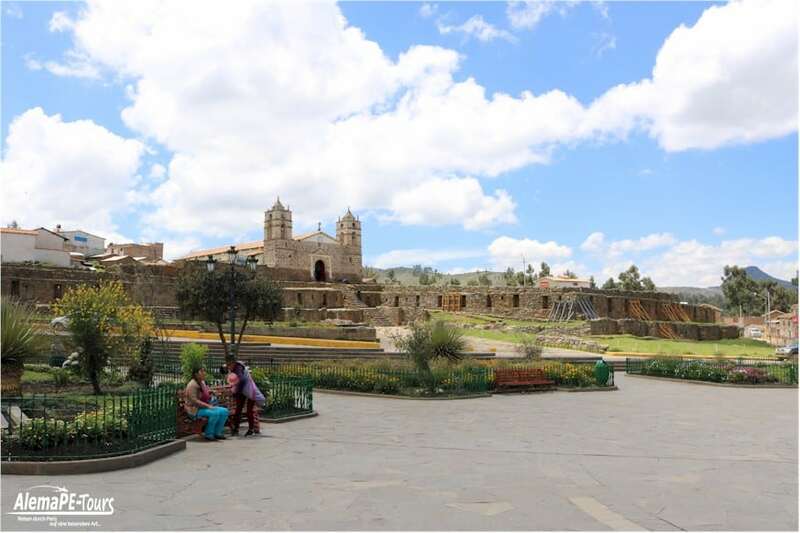 With the Temple of the Sun (Templo del Sol) and Usnu, the most important facilities were located in this square and have been preserved until today. The stories in old traditions indicate that the city had the shape of a falcon, in whose head Usnu was found. The Usnu is a pyramid accessible through a gate designed as a double door frame, which is very characteristic as the most important entrance. 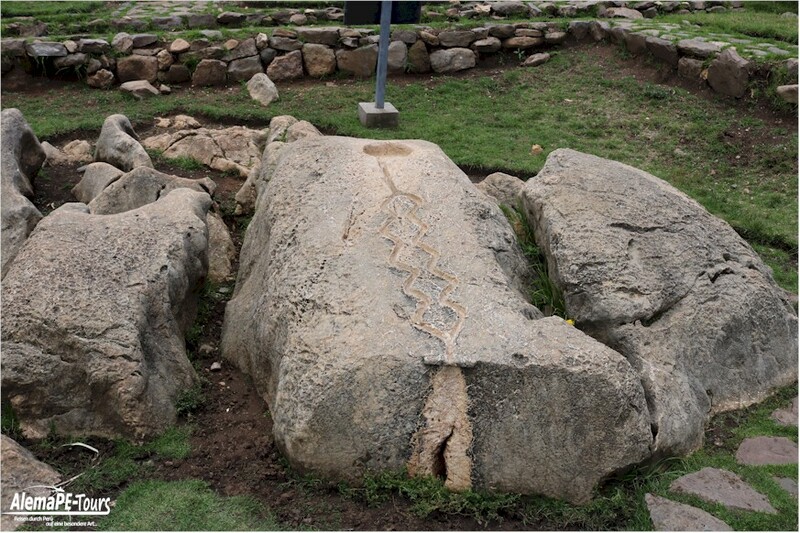 On its top platform there is a large stone with unique carvings, also known as the throne of the Inca (Asiato del Inca). 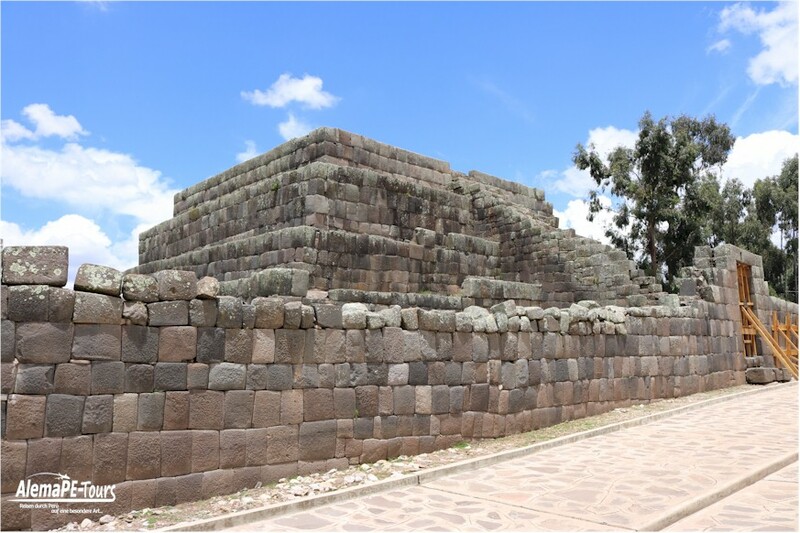 Some stories of the ancestors suggest that the seat of the Inca was decorated with gold leaf. 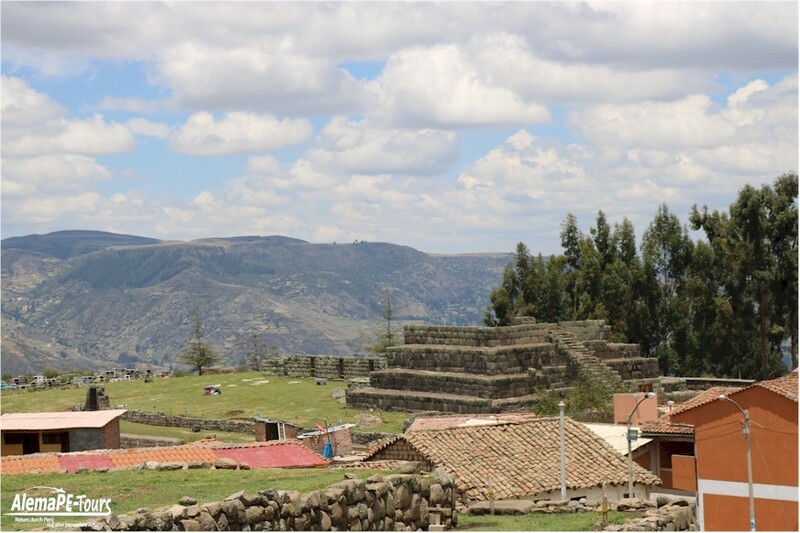 Vilcashuamán was an important Inca city. 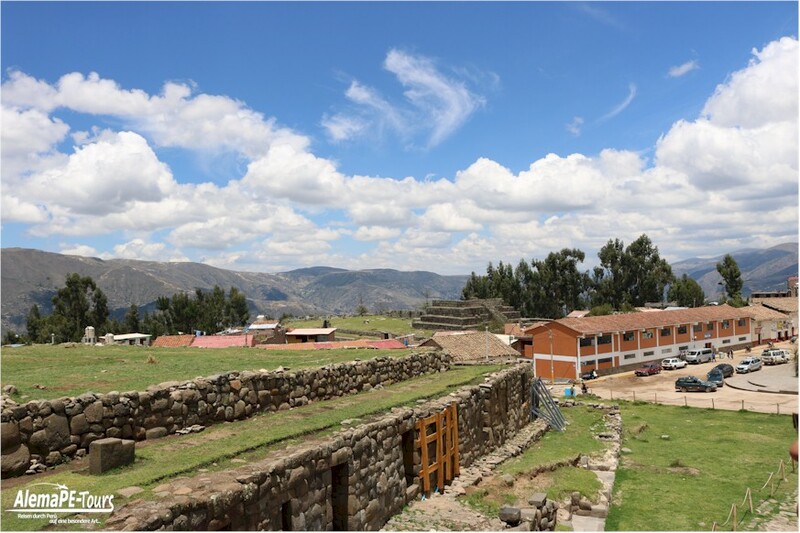 Built at the time of the Incas Tupac Yupanqui and Huayna Capac at the beginning of the 15th century, it was one of the most important administrative centers of Tawantinsuyu. As the regional capital of the province, up to 30,000 soldiers were at home in the garrison city. 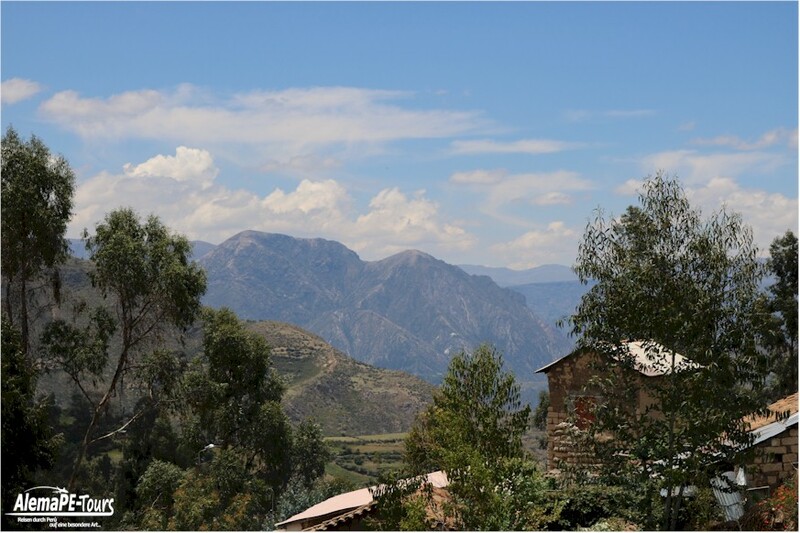 The great wealth of deposits, the beauty of the architecture and the strategic position along the Route des Capac Ñan (Inca Royal Road) later aroused the great interest of the Spanish conquerors around 1532. 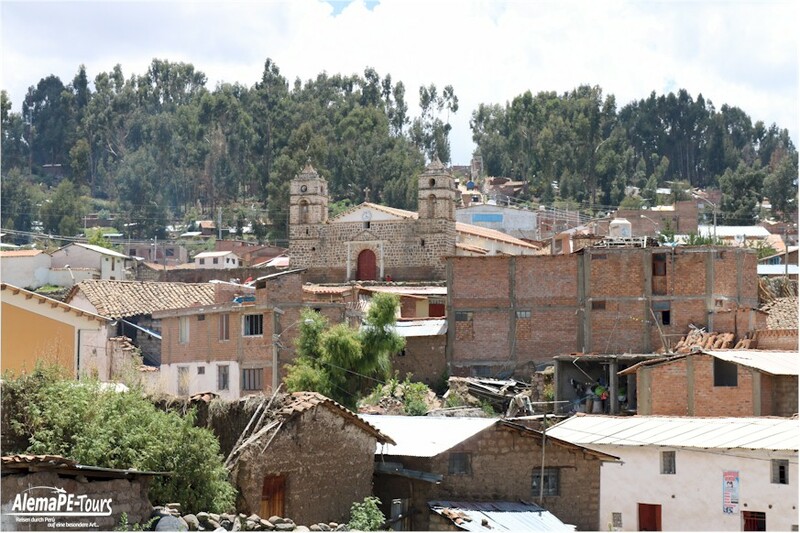 Vilcashuamán lies in the district of the same name, province Cangallo lies about 80 km southeast of the city Ayacucho, in the south of Perú, on the left bank of the Pampas river at about 3150 m above sea level. The distance to Cusco is about 120 km. This former seat of government is easily accessible by bus or car. Our travel time from Ayacucho to Vilcashuamán with our off-road vehicle (a Suzuki Gran Nomade) was about five hours. Located south of the trapezoidal square, it was built on a series of terraces. On the second terrace you can still see some of the trapezoidal niches. Next to the Temple of the Sun was the Moon Tower (Acllawasi) and other buildings inhabited by priests and other people. There were a large number of people in the village who were responsible for organizing and maintaining the cult of the sun god. The walls of the temple were covered with the church of San Juan Bautista (St. John the Baptist) after the Spanish conquests. 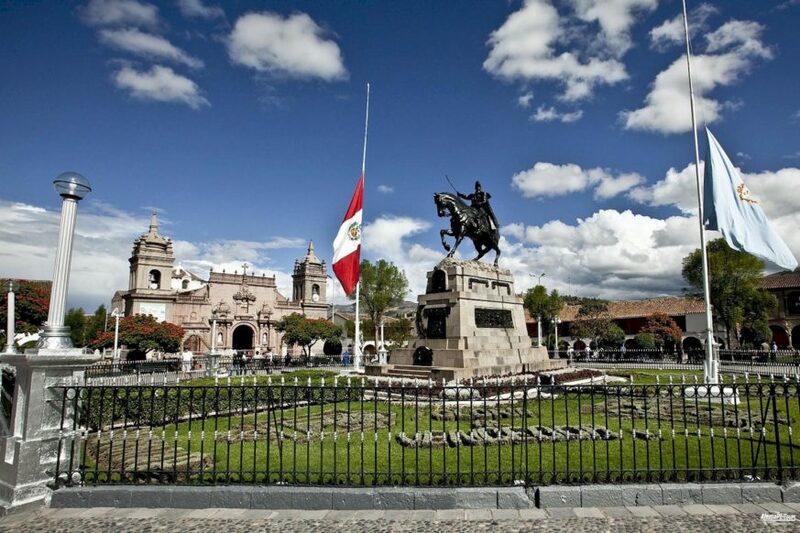 By the way, the Spanish conquerors did the same in Cusco with the temple Coricancha. To the west of the square is the Ushnu, which with its construction method is a rectangular pyramid with five platform-like floors. 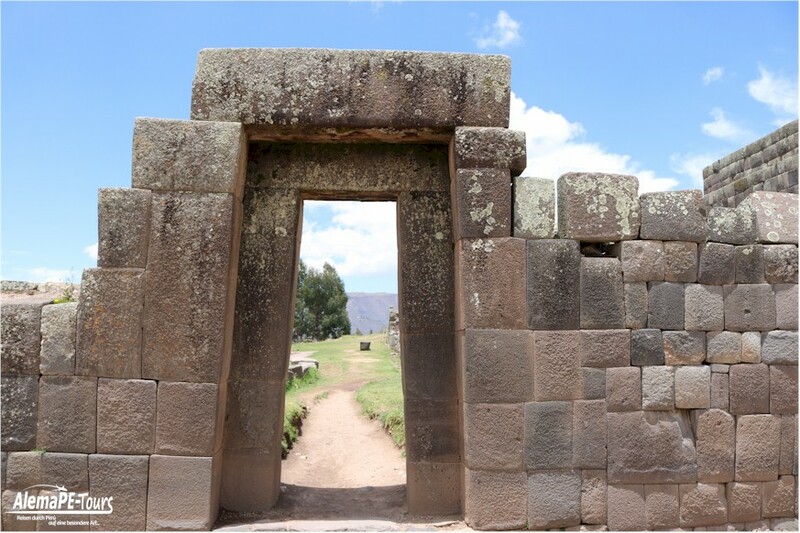 After the main entrance, which looks like a gate made of two frames, one reached the highest part via a stone staircase. On the last platform there is a double armchair made of stone, which is said to have been decorated with gold leaf in the past. 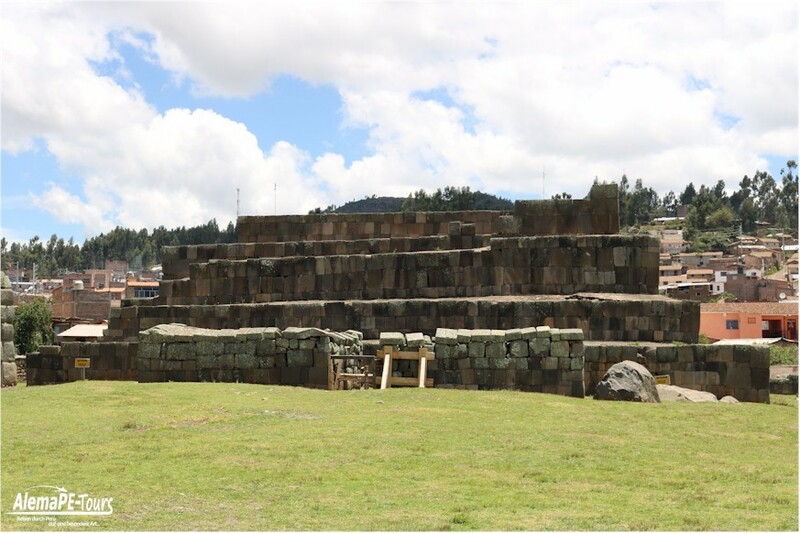 The Inca and his wife (Coya) are said to have sat on this seat while they led the rituals and ceremonies on the square. 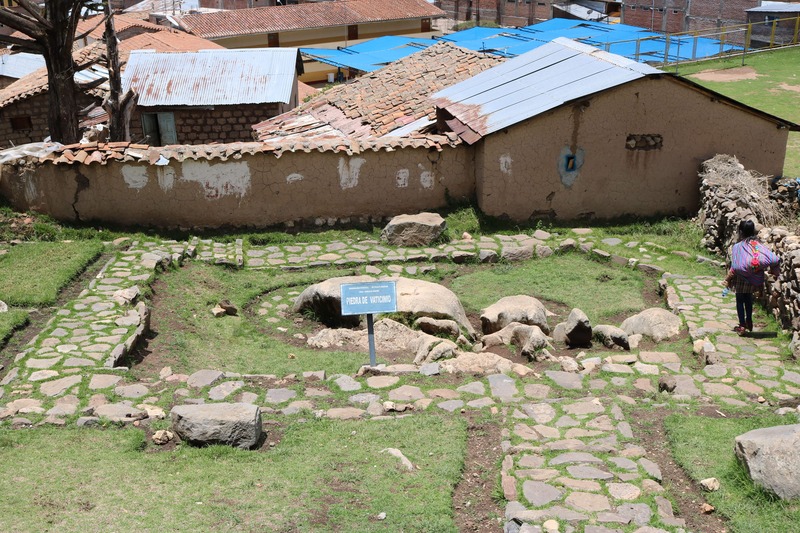 Behind this building there is another building which is considered the palace of Inca Pachacutec. 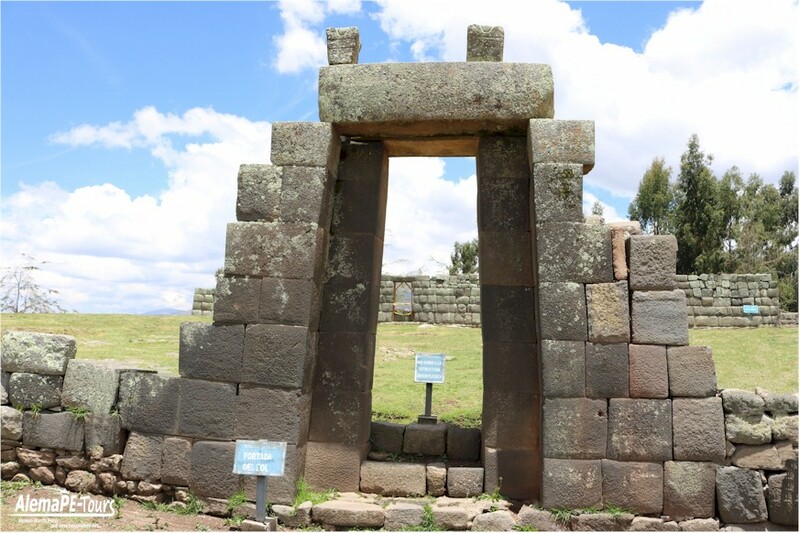 Inside the site there is a square and in the centre there is a stone that was used for human sacrifices. 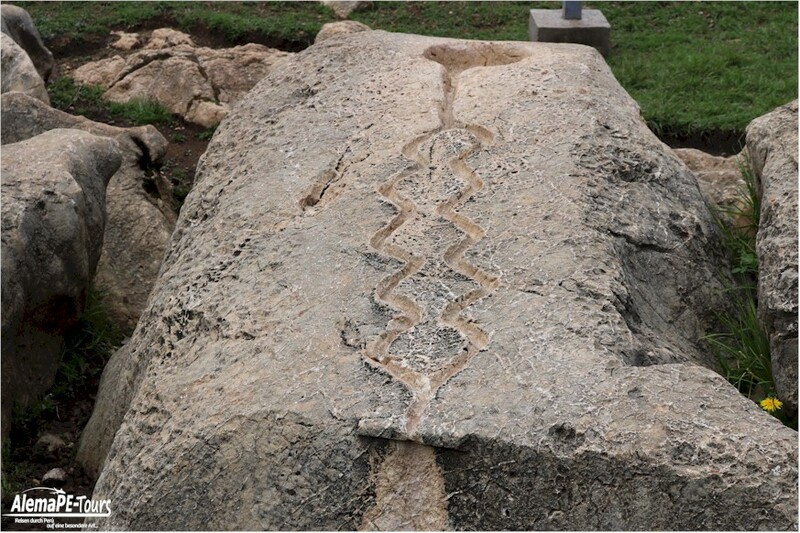 You can see in the stone, two channels whose channels represent the power, which has sculpted a large hole. Ceremonial sacrifices were made in this part. 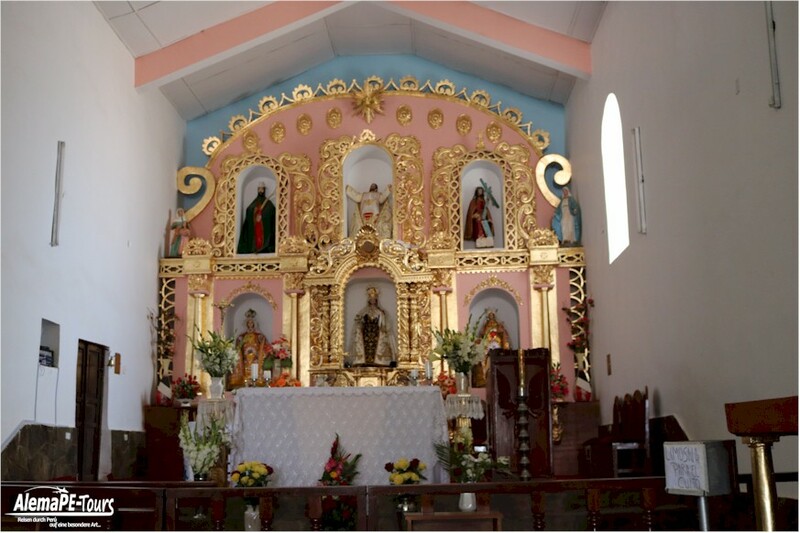 One of the sights in the urban area of Vilcashuamán is the colonial temple of Pomacocha from the year 1730. Near the town there are also interesting natural attractions. One of them is Atinqucha. It consists of two water sources, which are only about eight kilometres away from the city. 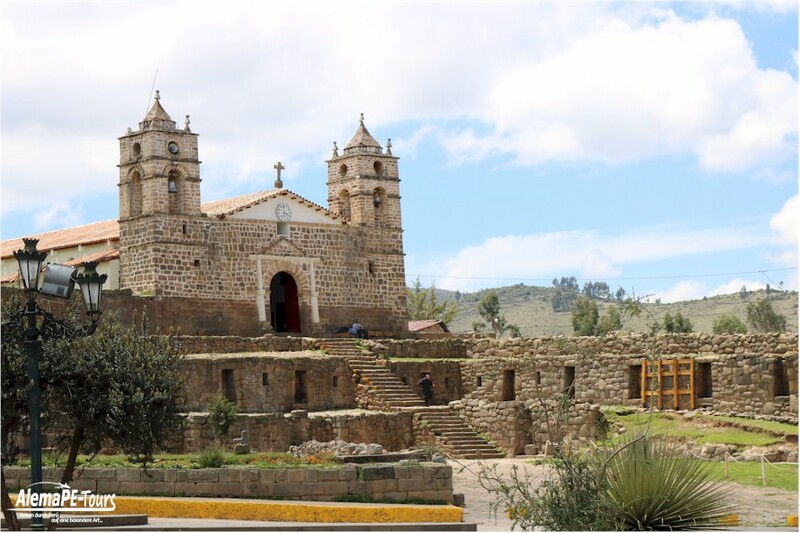 The best times to visit Vilcashuaman are during Carnival (February), during Vilcas Raymi (July). An interesting date for a visit to the city is also the Provincial Jubilee, which takes place in September between 19 and 24 September. The festivities are a good opportunity to taste the variety of typical dishes of the city and the region offered at the gastronomic fairs of the city.